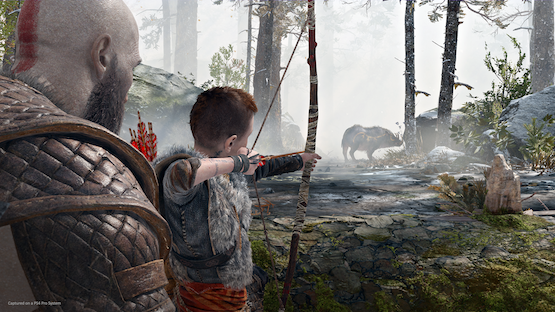 The other big change is that Kratos has a son named Atreus who is central to both gameplay and the story. I didn’t realize it early on, but Atreus is actually the most interesting part of combat encounters. Not only could I command him to shoot arrows at enemies (causing a stun) by pressing the square button, but with careful positioning he could be used to draw the attention of dangerous foes. Since he doesn’t have a life bar to worry about, using your son as a diversion is a hugely beneficial tactic (especially in boss fights). God of War isn’t just Santa Monica Studio doing something different for the sake of variety (although the series did clearly need a shake up after how dull Ascension seemed). Everything from its gameplay to storytelling has been changed for the better. By doing so, Sony has given one of its biggest franchises new life. God of War is slated to release on April 20, 2018 exclusively for PlayStation 4.